Imagine stepping into the shoes of one of the most recognisable leaders in self-help, and convincing her millions of fans that the future is in safe hands? That’s what Global Hay House CEO Reid Tracy has done. And in the process, he’s learnt a lot about connecting - and building - an audience online. For anyone in the self-help world, Hay House is the pinnacle of publishing. Now the largest self-help publishing house in the world, it all began in 1984 when Louise Hay first published (read: photocopied and distributed) her first two books: You Can Heal Your Body, and You Can Heal Your Life. The latter has now gone on to sell over 35 million copies. Three years after those first books, Hay House was incorporated, and a year later, an accountant by the name of Reid Tracy came on board. Little did he know that he would one day be at the helm of a media company and publishing house that publishes approximately 300 books, 350 audiobooks, DVDs and online courses to more than 35 countries. Over the coming years at Hay House, Tracy says he gained so much knowledge from the Hay House authors, “from osmosis and from just being around them all the time”, that within a couple of years he was running the company with another person, and three years after that, he and Louise were running the company together. And have done for nearly three decades. In recent years, Louise Hay had been slowly stepping back from being the face and driving force behind Hay House, and in August 2017, she passed peacefully at the age of ninety. While everyone at Hay House is adamant that no one could ever replace the woman who lead the self-help movement for decades, it is Tracy who has the job now of carrying her vision for self-empowerment but also bravely bringing the company into the new world of technology and online marketing. I didn’t know anything about book publishing when I first came to Hay House, and that’s one of the reasons Hay House is so different than other book publishers. We have more marketing people than editorial staff, and we have a big presence online. That’s where our success comes from. Get the look with this Blue and White Vintage Company Event Invitation. So how has Tracy managed the transition to being the ‘face’ of Hay House International, considering the enormous following and love that many in the self-development field had for the original founder? He’s followed the exact steps his up-and-coming authors take on how to build a strong relationship with your audience. And with a weekly newsletter of 1.5 million subscribers, he knows what works. At the core of Tracy’s success formula with Hay House is audience building. Even though Louise’s original books were huge hits, it has been the consistent marketing and expansion of the brand that has allowed them to grow to such a size, and bring so many writers to the world. Let’s take a moment, though, and look at the messages he’s been trying to communicate over the years. Angel readings, spiritual healing, your thoughts create your reality: not exactly the most mainstream and easy to sell content to a mass market. But what Hay House have been able to do so authentically is to build a relationship between their authors and their readers. This is not about a writer tapping away behind their computer and staying fairly anonymous - Hay House are all about connecting their experts with their readers, both online (they even have their own online radio station) and in live events around the world. And it is there that they have really build that trust. Create your own social media post using these templates: Pink Photo Flower Facebook Post and Simple Text Quote Photo Flowers Facebook Post. “The biggest thing that you can do is be authentic and tell stories of your own life. If you read my newsletter, I’m always sharing things about my life and my kids and what I’ve learnt from Hay House authors. You can’t just write a book and assume it’s going to sell anymore, and you can’t just rely on traditional media either. Whilst we try to get our authors as much media as possible, that’s not our long-term strategy. So what are Tracy’s biggest tips on building that online presence and an audience ready to buy? First, you get clear on who your audience is (as clear as possible, he says), then you give them what they want - often free or at a very low cost. But Tracy is quick to point out a common mistake he sees in new authors wanting to build their following - selling too fast. Building trust through a lot of free content, live videos, and real connections and behind the scenes insights must come first. And perhaps for longer than you might realise. 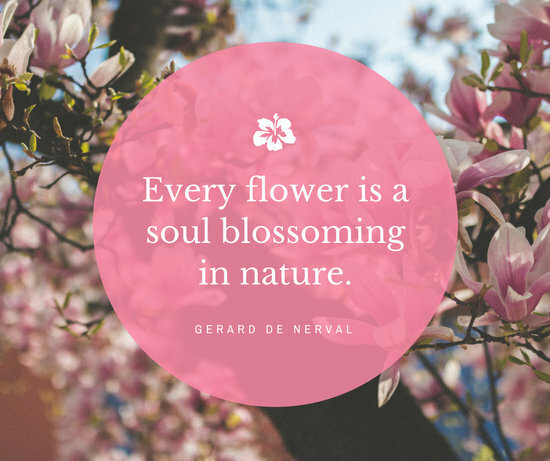 Create your own striking quotes with some of Canva’s social media templates, like this Misty Fields Social Graphic Template. Facebook is Hay House’s biggest social media platform, and with recent changes to content sharing and reach, Tracy says their big focus is on video content and Facebook Lives. As Tracy explains, Facebook really is the most powerful marketing tool at your disposal. The social media giant can help you narrow your posts down to gender, location, income, relationship status and interests, just to name a few. So when it comes to reaching your potential audience, Tracy says you need to get really clear on who it is you want to attract. Why not create something similar with this Purple Tinted Overlay graphic and ask your readers for what pushes them outside their comfort zone? Gone are the days though of just letting your awesome content do the work itself, however. Whilst it used to be possible to build a strong following online just be sharing great blog and social media posts, nowadays, the harsh truth is if you’re wanting to build a profitable business, you’ll need to put a little aside each month for marketing. Tracy’s biggest tip to build a loyal audience, and convert them from social media likes to paying customers? Give it away for free first. Hay House have hundreds of free eBooks on high rotation to build their platform. They also occasionally offer some of their best-sellers at just 99c for a short time only, knowing that by bringing in a new reader at that level, they have more chance to sell them more later on down the track. It’s the difference between short term goals and long term vision: think about who you want to bring into your community, and offer them what they most need to get started. Give away your best content free? Yep, it’s a winning strategy. Create a similar free giveaway using this Vintage Illustration Flower Facebook Post template. It seems counterintuitive as a business strategy: to give away your best-selling stuff at a fraction of the price, or free. 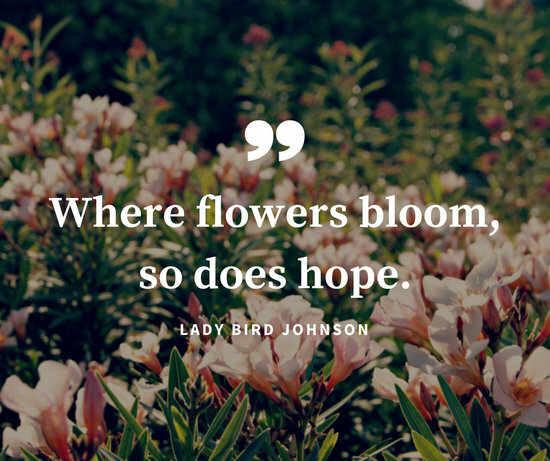 But as Hay House have shown over and over again, when your marketing plan is to be generous and build connections, you have a loyal customer for life. “The key is to give your community what they want, not what they think they want,” says Tracy. “That's the biggest mistake I see from beginner authors: they say ‘everyone needs to know this!’ and although they might be saying something super valuable, they aren’t meeting their customers where they are. Their community is saying ‘I want more of this!’ but they are wanting to focus on what they think their audience ‘should’ need. When people are asking you for something, pay attention and give them more of it. Double offers - a buy one, get one free, or an early bird offer for a new product - is another way to bring more readers to you. Customise this Red Watermelon Promotional Summer Fruit Twitter Post template with your own image and copy to create your next offer. And most importantly, remember your list is your best currency. “If you get fifty thousand people on your email list, you can do a million dollars a year in sales. If you have twenty five thousand, you can do half a million, if you have twelve thousand you can do two hundred and fifty thousand, and if you have six thousand people on your list, you can do a hundred thousand dollars a year. That’s the strategy we’ve seen over and over again. Use social media to build your new audience, give them what they most want, bring them onto your list, and nurture them in the most authentic way. That’s how you build your tribe.